Home News Leftie Lunacy: Look out, it’s the lawnmower police! 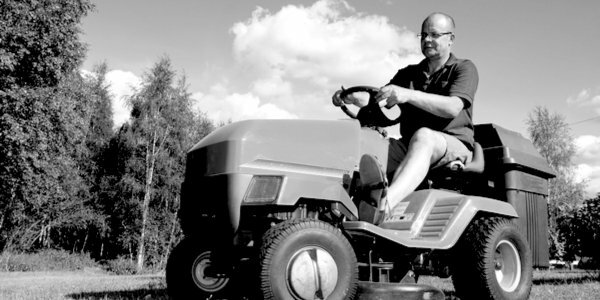 Leftie Lunacy: Look out, it’s the lawnmower police! It’s bad enough that we are condemned to a non-Brexit purgatory, but Brussels is still extending its tentacles to choke the life out of us. The European Commission proposes to amend its Motor Insurance Directive in an attempt to incorporate a judgment from the European Court of Justice made in 2014. This would extend the scope of the directive, meaning motorised ‘vehicles’ used on private land will now need to be covered by motor insurance policies. This includes ride-on lawnmowers, golf buggies, and even dodgems! To ensure compliance, UK authorities could carry out unannounced checks on anyone they may suspect of breaching these rules. The proposal, which can be found here, would clash with UK law (Road Traffic Act, 1998) which stipulates that insurance is required only when vehicles are used on a road. Jayne Adye, director of the cross-party grassroots campaign Get Britain Out said: ‘Being forced to comply with these new rules could set British taxpayers back hundreds of pounds. ‘This proposal will be music to the ears of insurance companies, who will find themselves with thousands of new customers. It all prompts the question: Is this the start of a non-stop punishment for having the temerity to try to escape the EU prison?